The Jelenice Game Reserve is located in the Opava region between the towns of Hradec nad Moravicí and Vítkov. 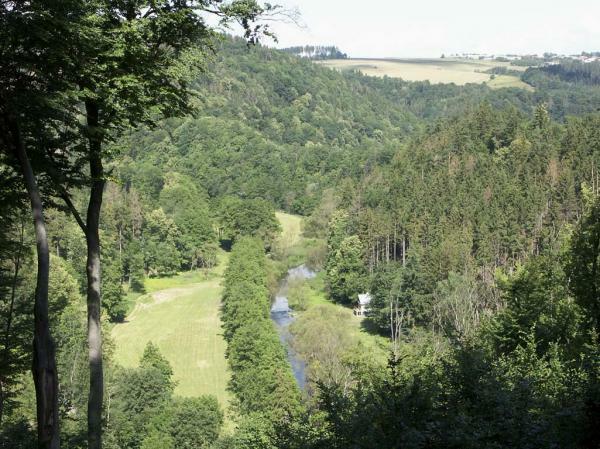 The area is dominated by the picturesque valley of the Moravice River, from the right bank of which the forest spreads. 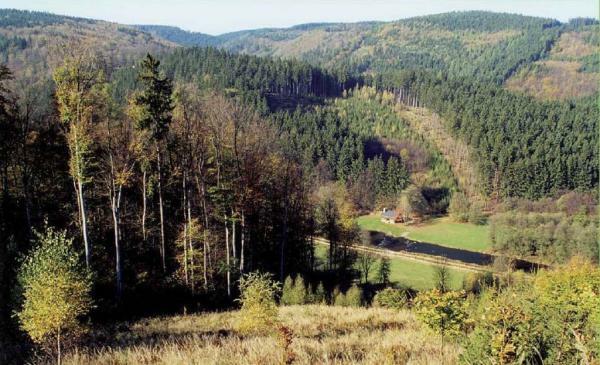 The difference between the altitudes between the lower part of the Moravice river and the upper part of the forest at the village of Jelenice is 180 m. Covering an area of 276 hectares, this elevation guarantees hunting on a varied terrain and with magnificent views of the river valley below. The main animals bred in the area include fallow deer, mouflon, Sika deer of the eastern Dybow, wild boar and red deer. When hunting in this area, every guest is assigned a hunting guide. The History of Jelenice Game Reserve dates back to 1805, when it was established in the Hradec estate on an area of 575 hectares. According to an ancient map dating from 1830, the forest was originally divided into 12 districts. The forest was initially created for deer and fallow deer, but the owners introduced wild boar at a later date. Organizationally, in 1842, in the forest management framework the Hradec estate was classified as one of 6 forest districts: Mostek, Albrechtice, Obora, Jelenice, Domoradovice and Lipina. In 1852 the forest was reduced in size by half and in 1898 completely abolished. A hundred years later the Jelenice Game Reserve was renewed and breeding of fallow deer, mouflon, wild boar, red deer and Sika Dybowsky deer on approximately the same cadastral territory of the former forest began again.